Watching films has been a favorite past-time all over the world ever since the movie industry came to be. Millions of Americans visit the theaters every day to catch a movie, with their family, friends, or a date. And some of the most beloved movie genres today are those of the sci-fi and fantasy variety. It can be a lot of fun to lose yourself in another world, an alternate reality set in space, on another land, or even simply in a different time than ours. As long as it’s filled with imagination, we can forget about our day-to-day lives and become part of another story for just a couple of hours. But making the details of these fantasies seem realistic is not an easy task, but one that’s been keeping professionals busy for years, as they try to come up with new solutions and technologies. 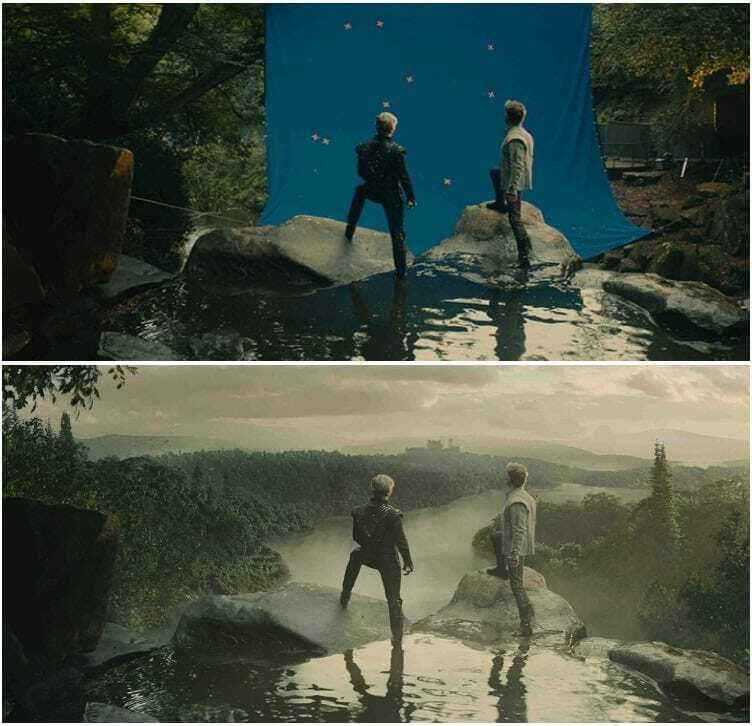 It takes work from cinematographers, actors, stunt people, and CGI experts to make regular objects, people, and backgrounds seem like something out of a fantasy. 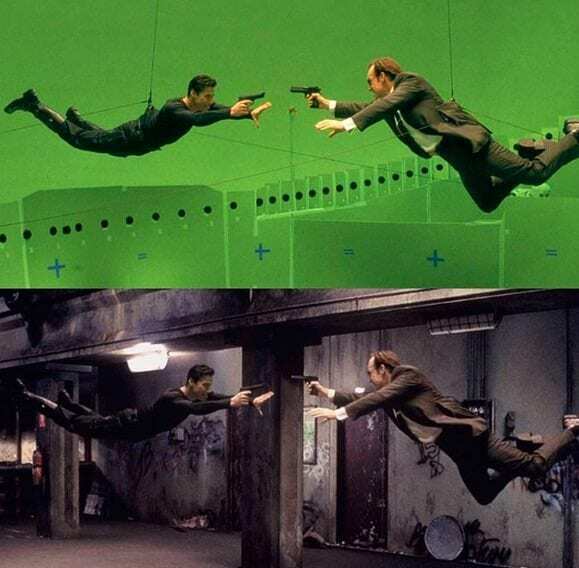 Many movies these days use increasingly advanced technologies to achieve this, and it’s amazing to think of how some of these scenes were actually made. Keep reading to see how some of our favorite movie moments were created using special effects. We love Guardians of the Galaxy, but we love seeing how it all came together even more. 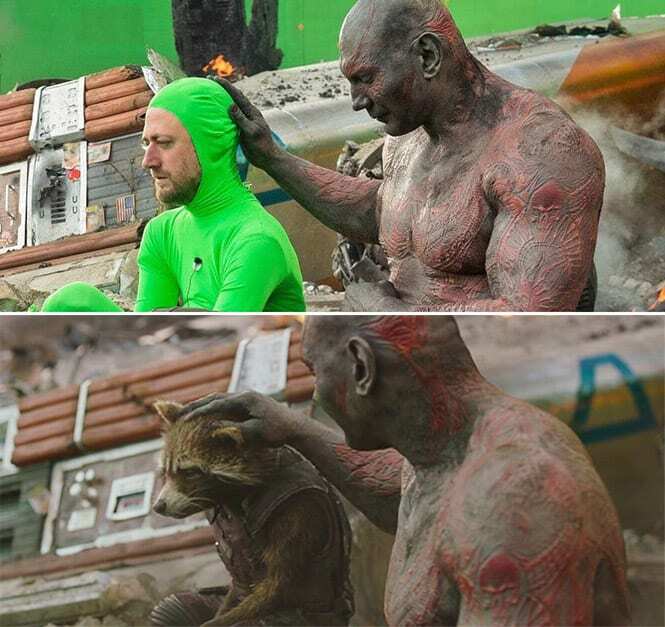 The hilariously sarcastic Rocket might be voiced by Bradley Cooper, but on set it was actor Sean Gunn (who also plays another role in the film) who wore the green suit that eventually became Rocket. So while you’re hearing the lovely voice of Bradley Cooper bringing the racoon (or in the words of Peter Quill, Trash Panda), who you’re seeing on screen is actually Sean Gunn. Drax, on the other hand, played by Dave Bautista, didn’t require any special effects – but makeup artists had to use full body makeup to achieve his look. The film Life of Pi was a magnificent, beautifully scripted and visually capturing movie. The digital imagery of the Bengal tiger was super realistic, and even managed to scare some of the viewers. But in reality, real life tigers were only used in few parts of the film. The tiger was added using CGI, and the real prop used to simulate it being stroked by actor Suraj Sharma, was arguably less terrifying than an actual tiger. It was actually a plush toy animal – with round black circles instead of eyes! It goes without saying that the Lord of the Rings franchise is one of the biggest in history, and it’s prequels – The Hobbit trilogy – was just as popular. With amazing filming locations and fantastic creatures, The Hobbit films were just as picturesque as the Lord of the Rings films were. But not everything could be filmed on outside locations. 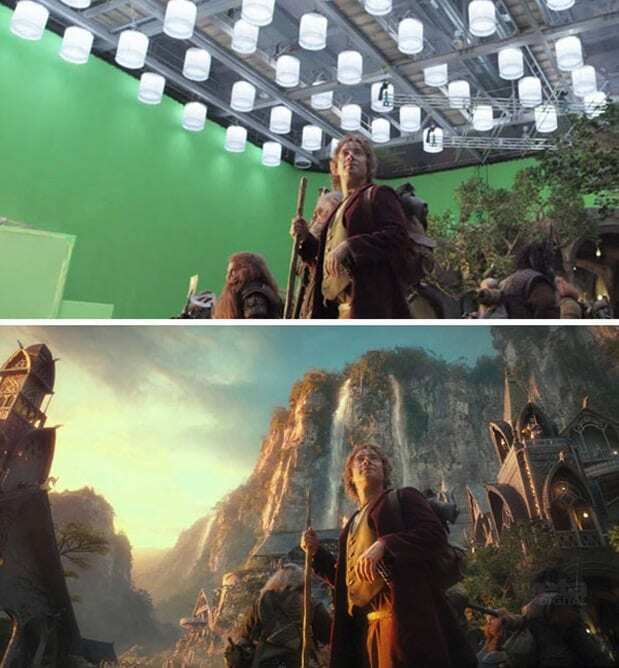 Since the scenery needed to fit the description in J. R. R. Tolkien’s books, some of it had to be artificially generated, like in the picture below. Alice in Wonderland is a fantastic tale written by author Charles Lutwidge Dodgson, of a curious girl who fell down the rabbit hole and entered a strange land with extremely strange inhabitants. The Tim Burton directed live-action film based on the tale, is as visually stunning as our imagination of the story. 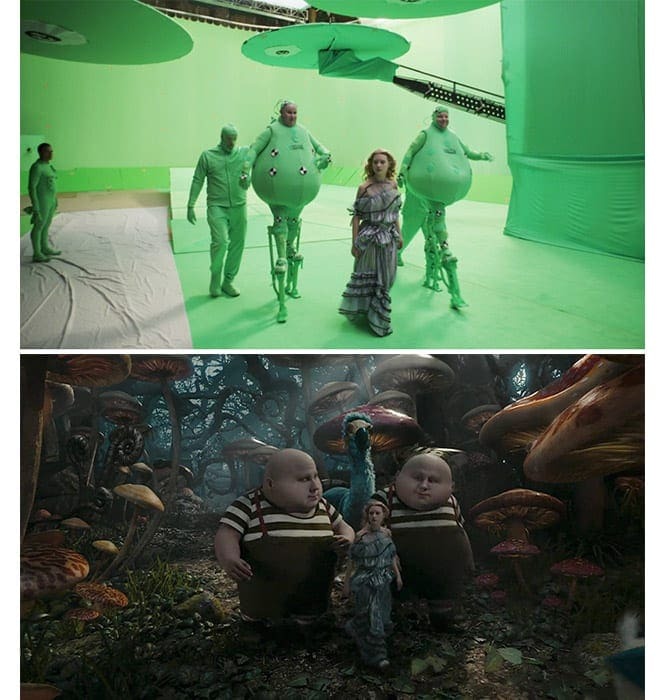 Mia Wasikowska, who played Alice, had to do a lot of strolling on green carpets before the setting was added through CGI. Matt Lucas also had to strut around in a green suit to play Tweedledee and Tweedledum. The Marvel Cinematic Universe has released many movies that became box office hits, but as the plots are all related to one another – the best ones were arguably the Avengers movies. They combined all of our favorite superheroes into one mega-plot, in which they had to cooperate with each other to defeat the enemy. 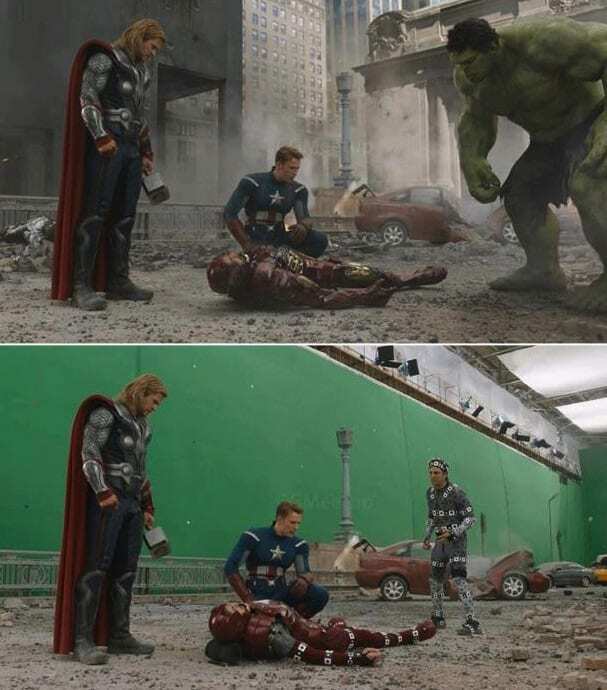 In the Avengers movie, Mark Ruffalo who plays The Hulk needed to suit up in a sensor-filled getup, in order to simulate the movements of the green creature for the camera. Some movies have really impressive scenery, especially ones that focus on ancient times and tell incredible stories like the one 300: Rise of an Empire depicts. In this photo, Rodrigo Santoro’s Xerxes basically stares down at a gigantic green screen with awe, with the rest of the empire to be added later. We can only imagine how hard it must be to carry out a scene while staring blankly at nothing but a green screen. 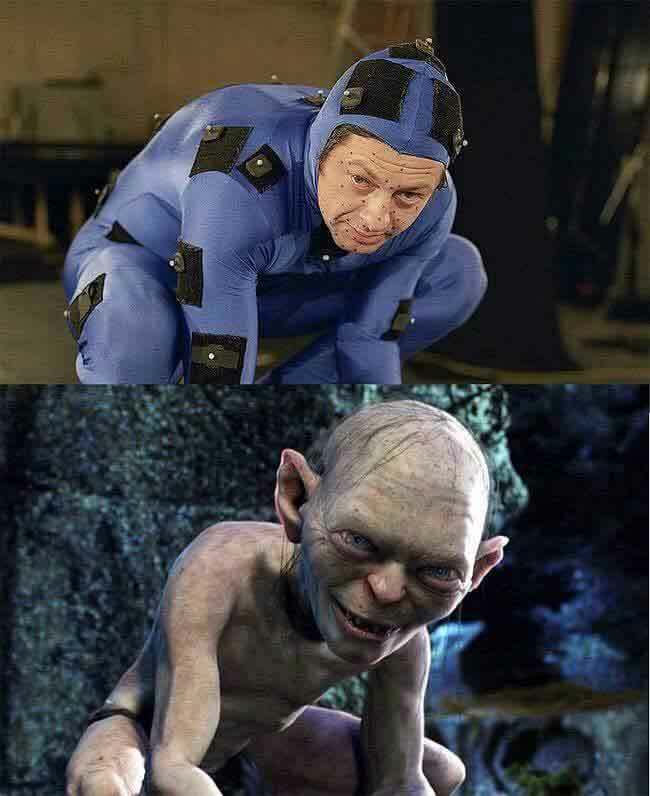 Andy Serkis is pretty much known by now for being turned into various creatures (but more on that later). He starred as the enhanced monkey Caesar in the rebooted Planet of the Apes franchise. While in the old movies masks were used to simulate the apes, these days there are much more elegant solutions for that. To be turned into the intelligent primate while still keeping those valuable facial expressions, Andy wore a helmet and a large number of sensors on his face, to later be transformed to Caesar. The 2013 sci-fi film Elysium stars Matt Damon, and depicts a dystopian future in which only the wealthy live comfortably on a space station, while the poor have to reside on a ruined earth. 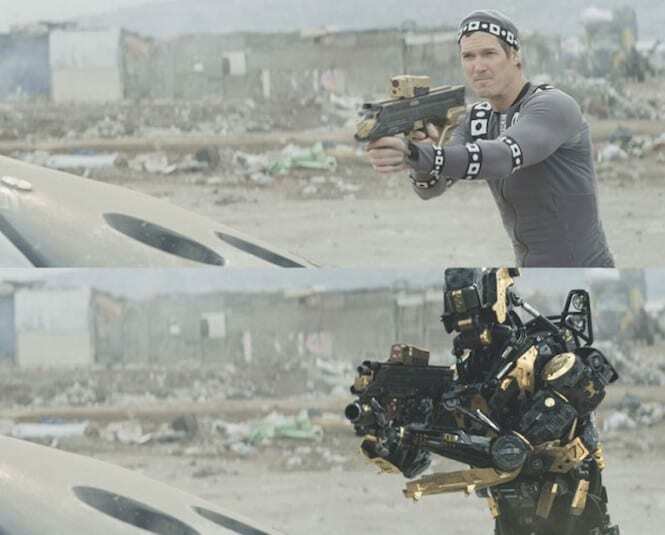 The filmmakers used Image Engine to create computer generated droids for the film, and they were based on stunt men wearing gray suits on set, as reference for the key-frame animation. 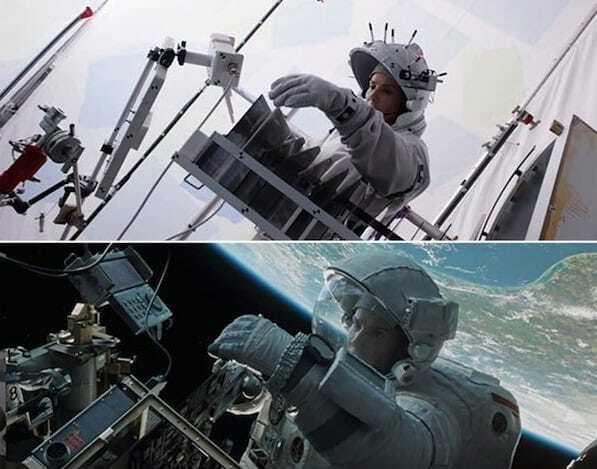 The suit covers as much as possible of the actor, in order to limit the amount of painting out needed to erase his human tracks. The Dark Knight was one of the most highly rated films. Not only was it a huge box office success, but it was also pretty much universally acclaimed by critics. 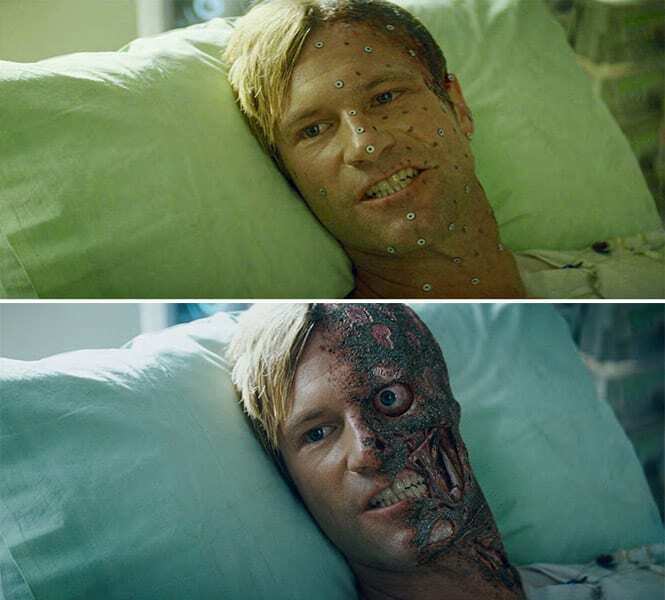 In order to achieve Aaron Eckhart’s look as a scorched Harvey Dent (who became the famous villian, Two-Face), the filmmakers used computer generated imagery. Using strategically placed sensors across half of Eckhart’s face, they were able to create the illusion that it was damaged in an explosion. The Sandra Bullock and George Clooney starring sci-fi film Gravity was released in 2013, and was highly popular with both audiences and critics. Among other things, the critics commended the film’s cinematography, visual effects, and the use of 3D. Although the space scenery in the gripping film seems very realistic, as you can see in the picture below, it took some pretty special equipment to film the space scenes. The end result, however, is phenomenal. The Monuments Men is a World War II film focusing on a platoon tasked to return art masterpieces, taken by soldiers during the war, to their rightful owners. Despite starring heavy-hitters like George Clooney (who also directed), Matt Damon, Bill Murray, and Cate Blanchett, actually received mixed reviews. 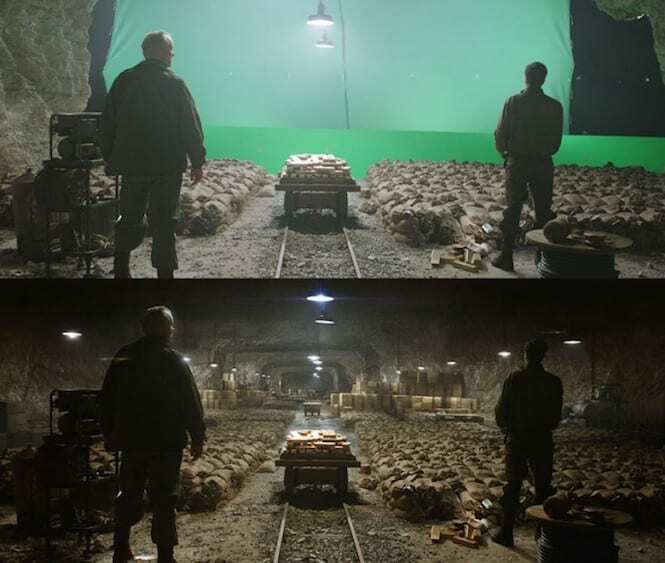 But there’s no doubt that the CGI work was amazing – just look at this picture below and tell us if you could notice it was a green screen all along. Sometimes you think you’re looking at a person strolling through the rocky desert, with the ocean far away in the horizon. But then you realize you’re looking at a set with a great blue screen in the back. 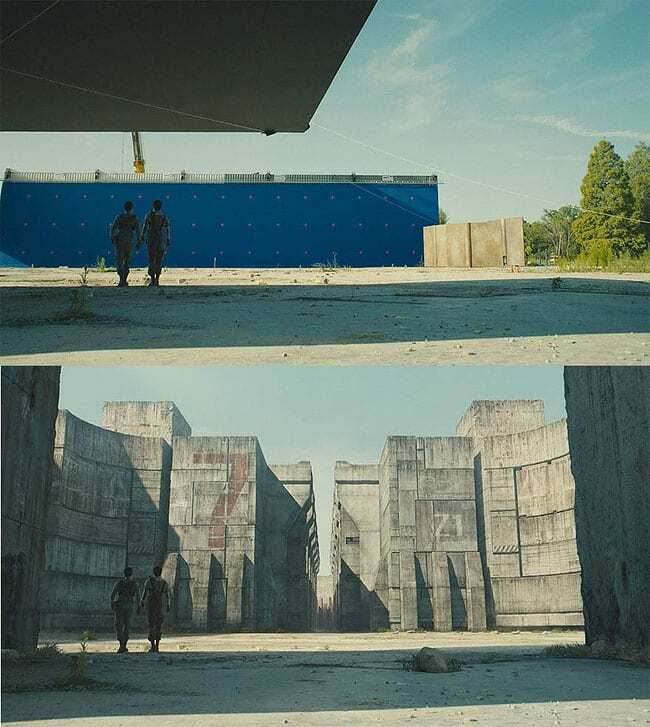 It’s amazing to see how the background can be generated by CGI experts to look so similar to real life scenery. The Chronicles of Narnia: The Voyage of the Dawn Treader is a perfect example of how they do it. When screenwriters pen a script for a movie, they often describe the background in accordance to what their imaginations have thought up, and the cinematographers and directors work on achieving their vision of the script. They need to make it happen in real life, but some scenery can be hard to achieve. King Arthur, for example, involves walking through snowy mountains – ones that might be a tad unrealistic. So what do you do? Shoot the scene in the closest environment possible and add the special effects later. The Twilight Saga became a worldwide phenomenon as soon as the Stephenie Meyer books were released. When the movies came out, starring Kristen Stewart, Robert Pattison, and Taylor Lautner, its popularity basically sky-rocketed. In Breaking Dawn, Taylor Lautner had to wear a gray suit on set to simulate Jacob’s werewolf state, which would later be added by computer generated graphics. 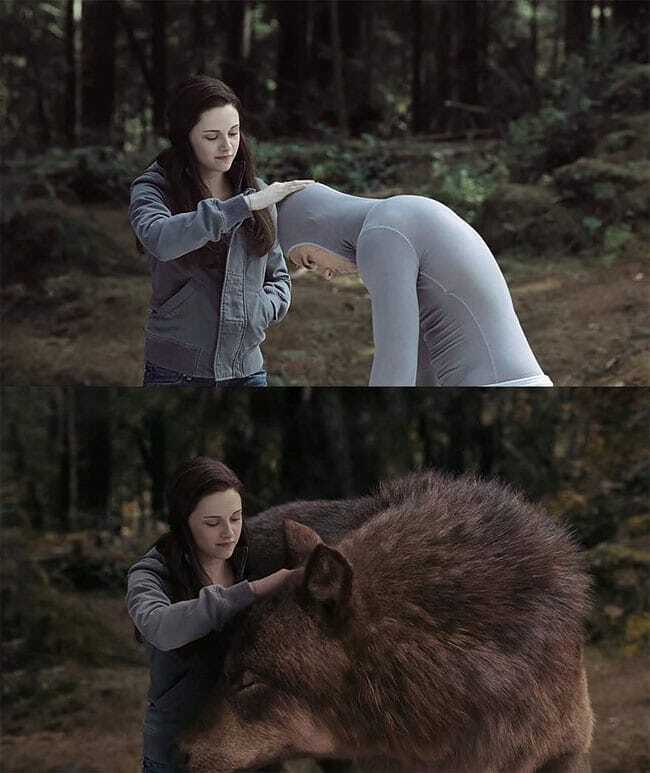 This means that Kristen actually had to pet his head and pretend she’s petting a werewolf! For those of you that know a little bit about Suicide Squad, you know that they are some of the most fierce and formidable villains that DC has to offer. 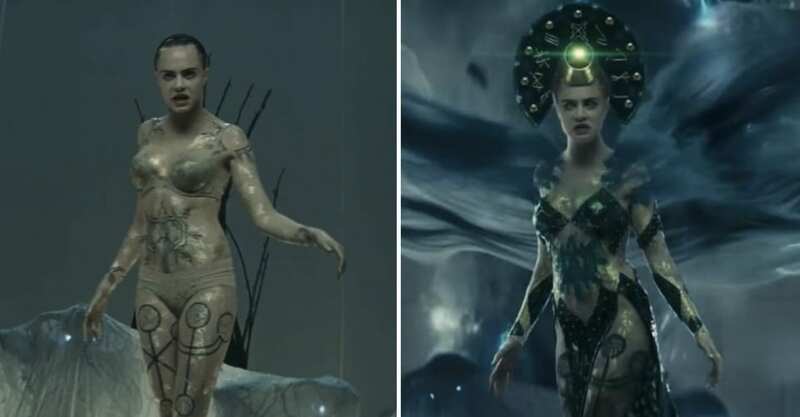 Perhaps one of the most frightening individuals out of all of these is none other than Enchantress, and as you can see on the right, she has quite the intimidating appearance. To make her look the way she does, CGI experts needed to be on their game, and as you can see, their work was very effective. 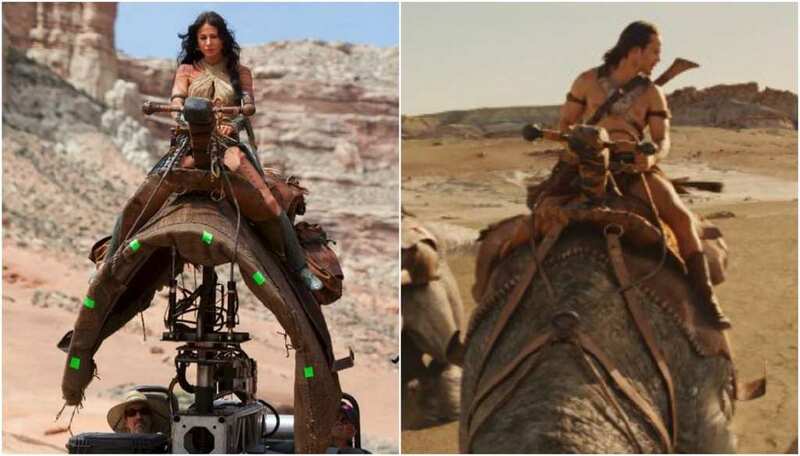 John Carter is a sci-fi film, about a civil war veteran who wakes up on the planet Mars (also known as Barsoom), and become entangled in the conflict of the planet’s inhabitants, such as Tars Tarkas and Princess Dejah Thoris. In the movie, some of the characters are shown to ride eight legged creatures called Thoats (pictured below). 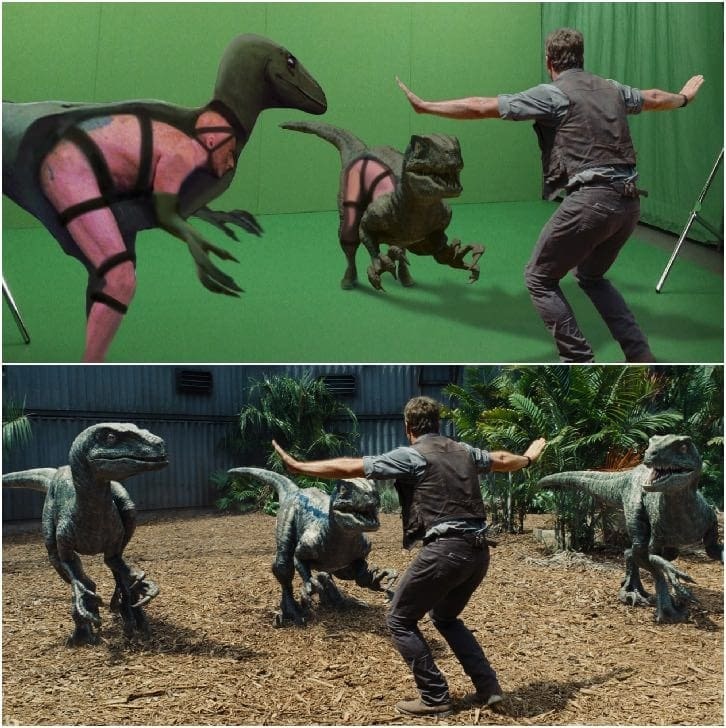 To simulate these creatures, the actors actually rode on huge props designed specifically to immolate Thoats using computer generated imagery. 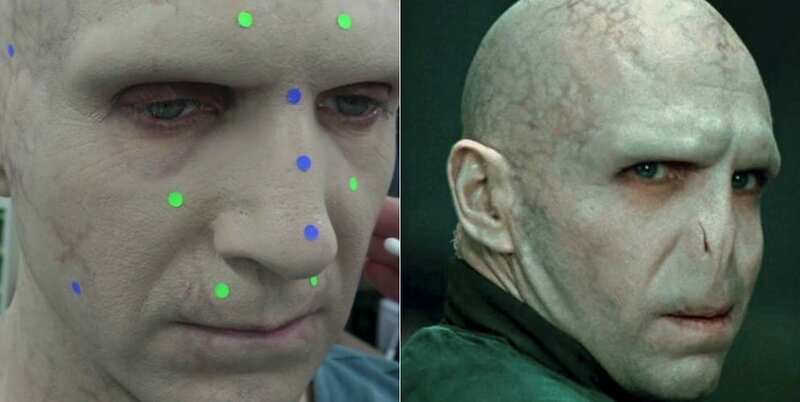 Creating a real life Voldemort was a task that must not have been easy, for a number of reasons. But beyond all of the technical issues, there was also the pressure from the hordes of Harry Potter fans to create a visual adaptation of Voldemort that would suffice. But when you take a look at the before and after images you see here, it seems that they were pretty successful. The fans were happy, Ralph Fiennes was happy, and we’re positive that J.K. Rowling was happy too. The epic sci-fi movie Avatar was not only successful, it actually broke records in movie grossings – surpassing director James Cameron’s older success, Titanic. It also won several Academy Awards, one of which for Best Visual Effects, since it used groundbreaking technology for the special effects. 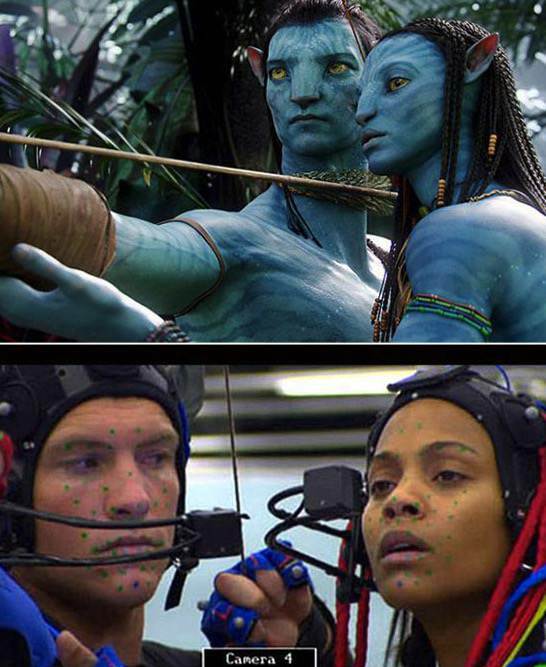 Sam Worthington and Zoe Saldana had to wear special equipment in order to look like the movie’s alien species, the Na’vi. They may have had blue skin and yellow eyes, but they were extremely human-like. 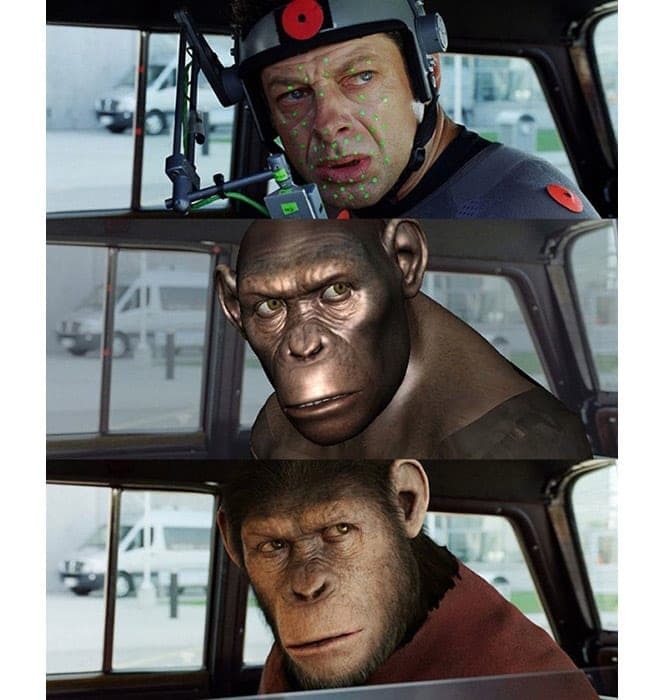 Let’s circle back to Andy Serkis, the king of CGI disguise. Besides playing Caesar in Planet of the Apes, as well as Baloo in the upcoming live-action film Mowgli (which he also directed) – Andy is also known for playing Gollum in the Lord of the Rings and The Hobbit films. The hideous creature was once a Hobbit who became mad desiring the power of the ring. To simulate the creature, Andy had to wear a special effects suit – but it seems the star has grown accustomed to it by now. You may remember the 2010 Lifetime movie Deadly Honeymoon, starring Firefly actress Summer Glau. Based on true events, it tells the story of a wealthy couple who go on a Tahitian honeymoon cruise, only for the husband to disappear without leaving a trace. 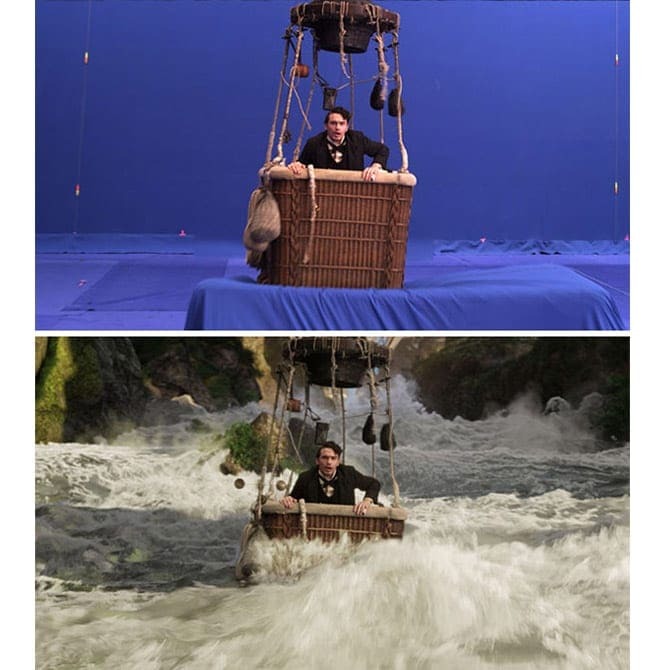 To simulate a huge boat out at sea, all they needed to do was use a green screen and create the rest of the boat – as well as the water – with CGI. Wonder Woman was a huge hit with audiences, as was anticipated ever since Gal Gadot made her first appearance replacing Linda Carter as the legendary comic book heroine. 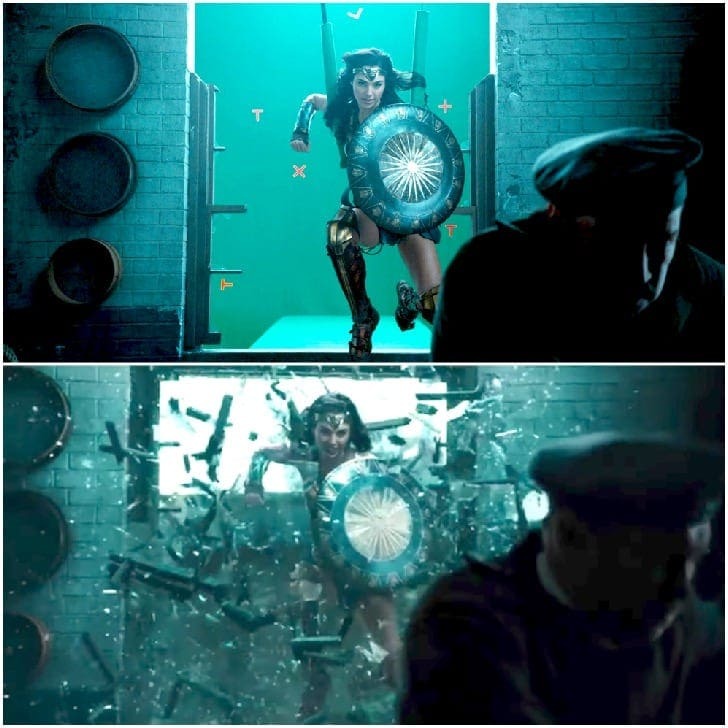 Gal did all her fighting in full Wonder Woman gear during the movie, but special effects were obviously needed to to simulate some things, like this broken window. Some people may not realize this, but Gal was actually pregnant during the reshoots for the film, a fact the filmmakers managed to hide pretty well. Jurassic World, starring the talented Chris Pratt, continued the familiar franchise of Jurassic Park movies, which had mankind genetically engineer dinosaurs for fun. This scene in one of the most familiar ones of Jurassic World, where Owen tries to control these velociraptors, as he’s the one who trained them. These were actually people in dinosaur costumes, which were later replaced with dinosaurs that were made by a graphics engine. It’s pretty cool when you think about it. 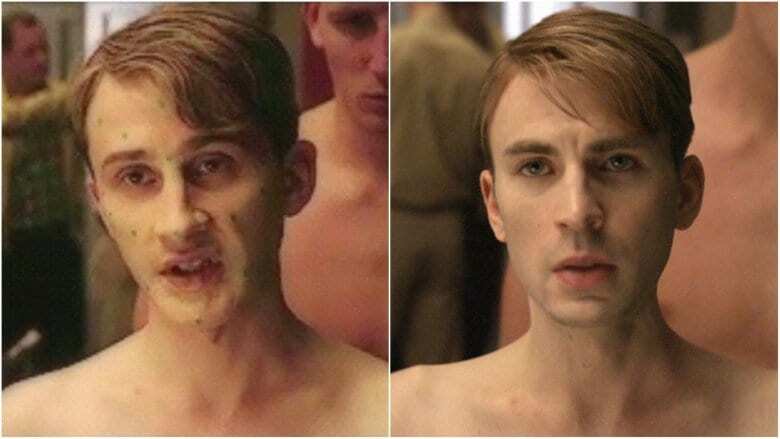 Captain America: The First Avenger is part of the Marvel Cinematic universe, which describes the history of Chris Evans’ Steve Rogers, or Captain America. Chris had to get extremely jacked to play this role, but that also meant it would be tricky to film the scenes in which he’s a young soldier with practically zero muscles. So production brought in a body double named Leander Deeny, whose face was altered to look like Chris’. Problem solved! Bill Nighy plays Davy Jones, the fearsome ruler of the Seven Seas, in the Pirates of the Caribbean movie franchise. 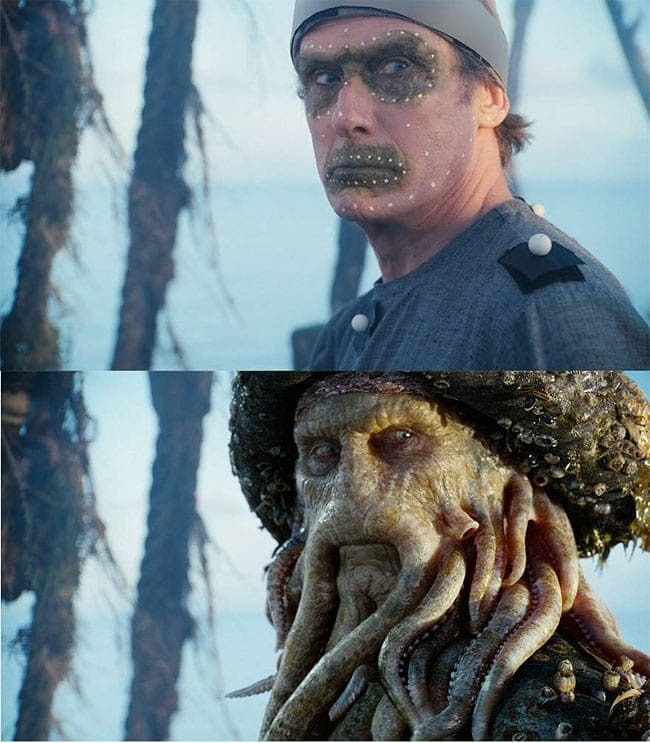 But how did they get the science guy to look like a squid-like creature of the seas? Using both makeup and sensors on Bill, editors were able to turn his expressive face into the gruesome villain. He also wore a gray suit in order for his body to be replaced with that of… well, a squid. X-Men: Days of Future Past reveals Sunspot, a mutant who has the power to absorb and to channel solar energy. 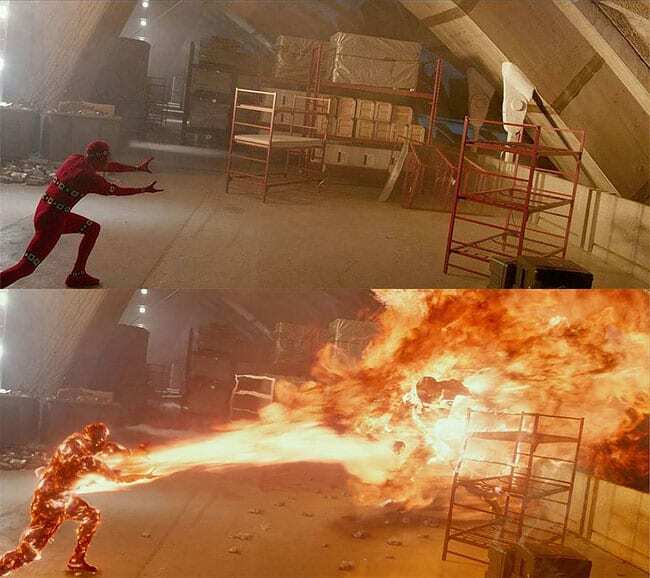 In the movie, he shoots solar energy (which basically looks like fire) at a sentinel, but in reality – things looked far less fiery. Adan Canto, who portrayed the character in the film, was wearing a red suit, and pretending to fire with nothing but thin air in front of him. The fire was added later, and looks amazingly cool. Needless to say, Green Lantern was far from a huge success at the box office, or by any criteria, really. In Deadpool 2, Ryan even jokes about going back in time and stopping himself from making the movie. The one good thing that we did get from Green Lantern is the cutest couple ever – Ryan Reynolds and Blake Lively, who met on set of the film and since married each other. 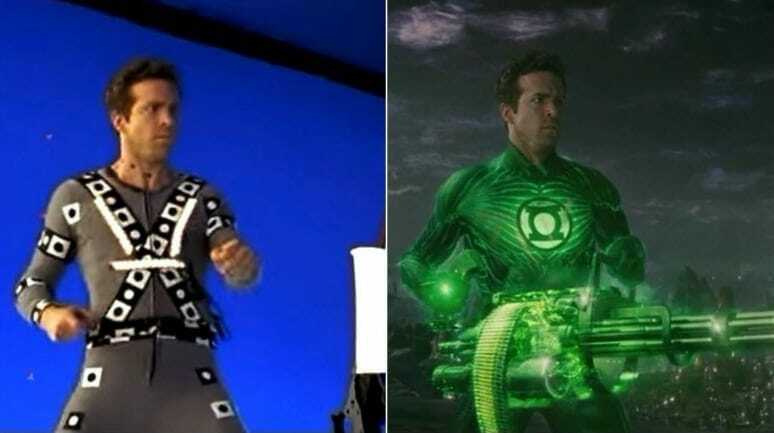 In this picture, you can see Ryan wearing his gray suit, which is later turned into full Lantern gear. Speaking of Deadpool, isn’t it the funniest movie ever? In the first of the two films, the awesome superhero is out looking for revenge on the person who had tortured him and disfigured his face. 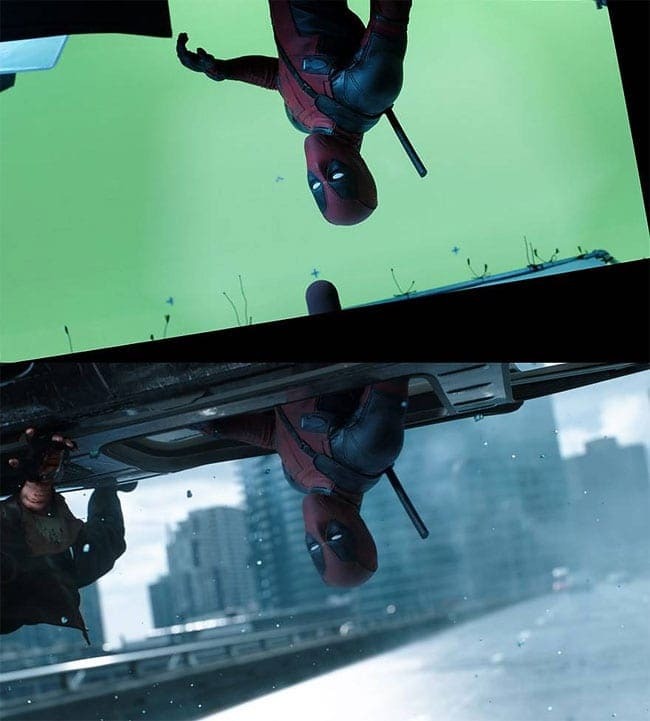 In this scene, camera slows down just as the car Deadpool’s in is about to crash. This is when he breaks the fourth wall and addresses us, the audience, to tell us what happened to bring him to this point. A green screen was used in this scene to simulate the car and background. The Maze Runner is a futuristic sci-fi thriller (based on a book series of the same name), the first in the franchise. Set in a dystopian world, it meets a group of teenagers in an area called The Glade, which is closed off by stone walls. There’s a maze around them, and they need to find their way out. But these stone walls never really existed in reality, but were instead made using CGI to replace a simple blue screen. Mad Max: Fury Road is the 2015 action film, which received many accolades and actually won six Academy Awards, including Best Film Editing, Best Production Design, and Best Costume Design. The wonderfully crafted movie is set in a post-nuclear holocaust world, and describes the escape of Imperator Furiosa from Immortan Joe, along with his five wives, and with the help of survivor Max Rockatansky. 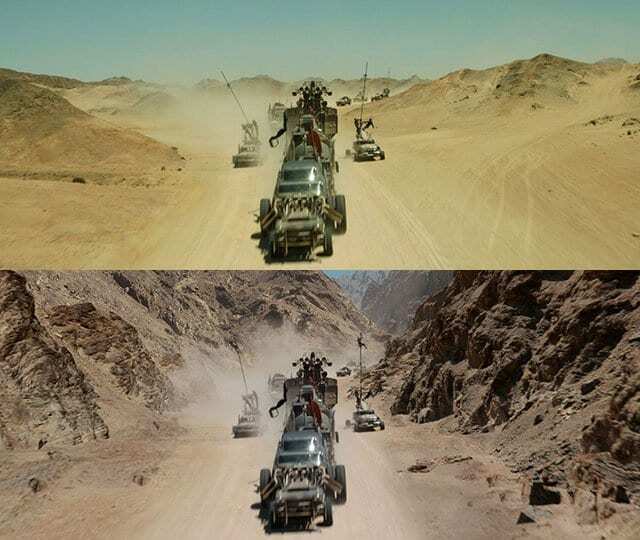 In this scene, you can visibly see how the vehicles rode through the desert, which was later turned into the apocalyptic wasteland of Mad Max. Another Marvel Cinematic Universe film is Avengers: Age of Ultron, in which Stark and Banner try to bring a dormant peacekeeping program to life. It all goes awry when this program takes shape and decides the only way to stop war from happening, is destroying humanity, to protect it from itself (sounds reasonable enough). 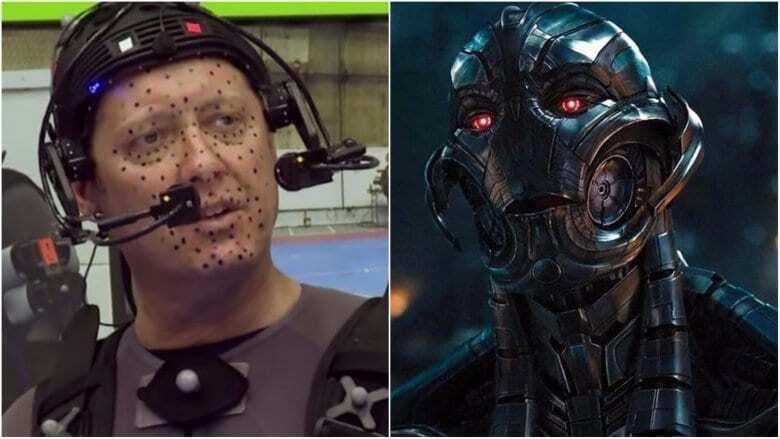 James Spader makes for a pretty creepy and fearsome Ultron, and this is how he was made to look the part. With sensors on his face and a microphone, he was later altered to be Ultron. Into the Woods is a musical fantasy film which presents several well known fairytales – Little Red Riding Hood, Jack and the Beanstalk, Cinderella, and Rapunzel – but with a dark, realistic twist. In this scene of the film, James Corden and Chris Pine are standing on top of a cliff, looking down at those magnificent river and forest below. In reality, they were actually doing their best pretending to be awe-struck by a less than impressive blue screen. Who can forget the 1996 disaster film, Twister? Starring Helen Hunt and the late Bill Paxton, it followed a group of storm chasers trying to get their sensors to go up in a twister. But creating the titular character (the twister, obviously) wasn’t easy. First time visual effects supervisor Stefen Fangmeier led a team of experts to create the imagery. 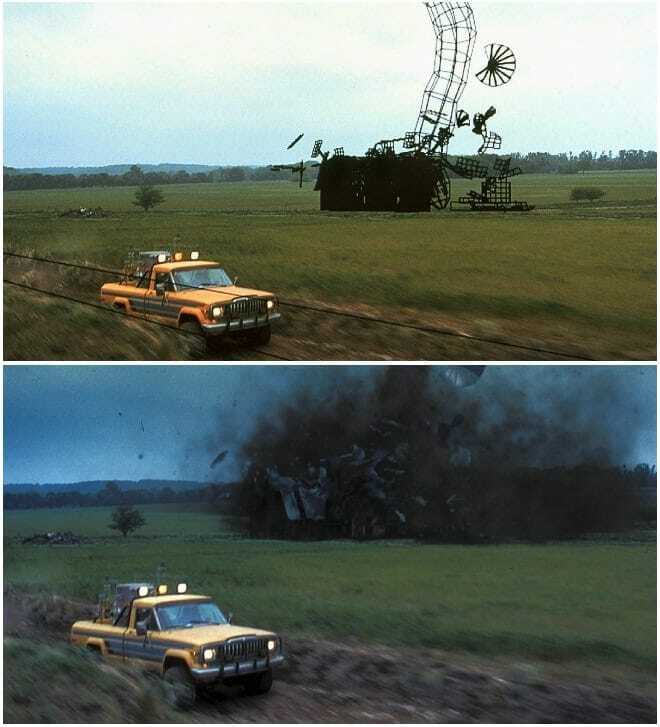 Stefen previously worked on 3D visualizations of a twister for tornado chasers in the ’80s using a supercomputer – which were actually used to create the ones in the film. Yet another Marvel film is Doctor Strange, starring the incredible British actor Benedict Cumberbatch. Stephen Strange is a brilliant surgeon who’s left unable to operate after a car accident. He seeks help at a mysterious enclave, where he learns supernatural abilities he never dreamed of. Such as – opening portals to different places, like in the scene pictured below. 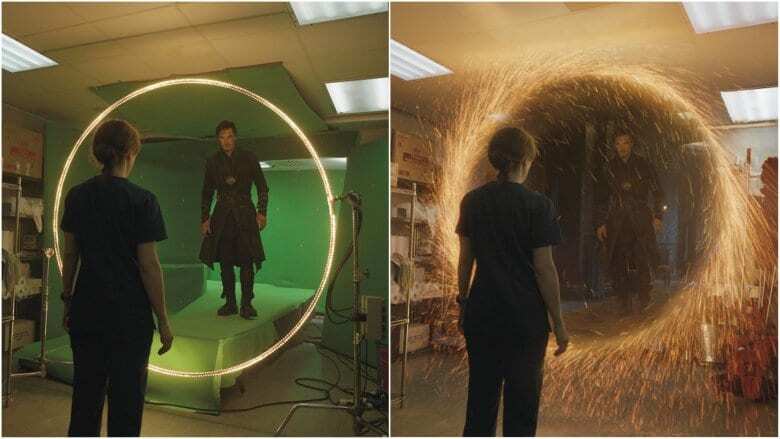 Strange opening a portal after visiting his love interest (played by Rachel McAdams), is simply a circle of light, and Benedict standing on a stage in front of a green screen. Who knew it took so many people to get Superman to fly, right? Brandon Routh plays Superman in this DC film, about the return of Superman after a long absence to a world that seemed to move on without him. 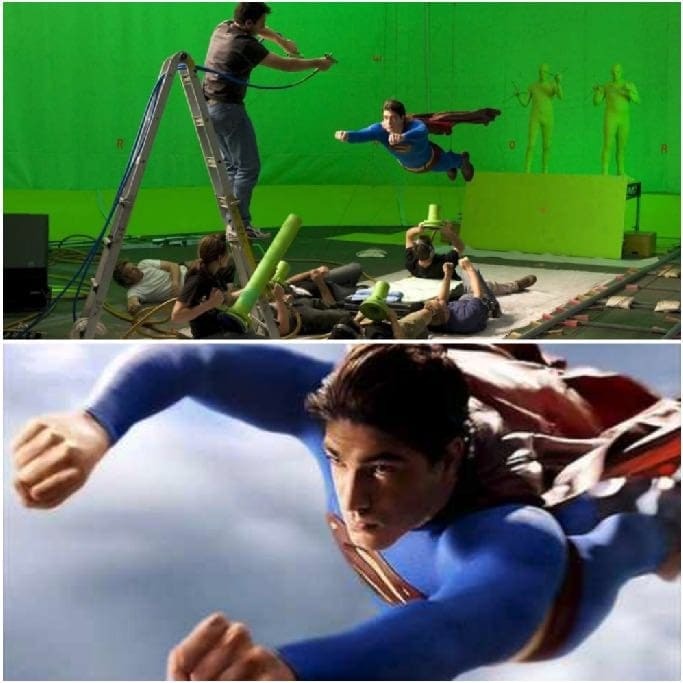 We didn’t really think Brandon was flying through the air in this scene, but in addition to using a green screen, production also had to use fans and special green accessories, to simulate Superman’s flight. We all know the story of The Wizard of Oz, where Dorothy and her dog Toto are swept away by a cyclone from Kansas to a strange land. Fantasy film Oz the Great and Powerful is a prequel to the 1939 MGM movie, The Wizard of Oz, which focuses on the story of the wizard Oscar Diggs arriving in the land of Oz. It’s amazing to see how James Franco sits inside a hot-air balloon, surrounded in nothing but blue fabric, only later to graphically simulate gushing water. The 2013 film is based on F. Scott Fitzgerald’s novel, also called The Great Gatsby. One of the scenes is set on Broadway, but the director obviously couldn’t use images of Broadway today, as the story. takes place in 1929. Broadway in 1929 looked quite different – the billboards, the cars, and the people. 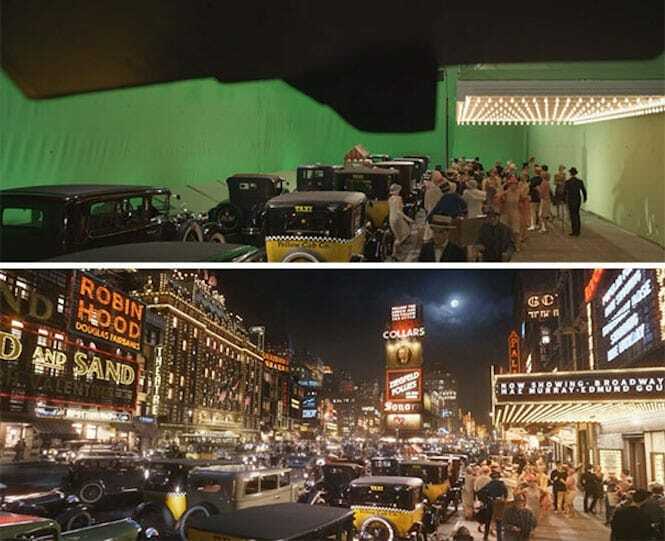 So the filmmakers used a huge green screen to add the glitz and glam of old-time Broadway into the film, in addition to using costumes and props that better fit the time.